Smart4fabry / News / Hospital Vall D´Hebron in collaboration with the H2020 funded Smart 4 Fabry project celebrated a seminar on Lisosomal Disorders, with a special focus on Fabry Disease. Researchers and clinicians working in the field of lysosomal disorders had the opportunity to put in common the most recent advances in the diagnosis, pathophysiology and management of lysosomal storage disorders in general and of Fabry Disease in particular. 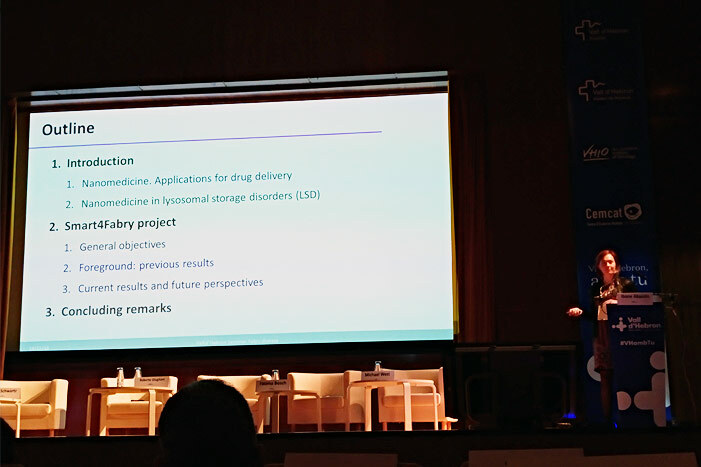 During the seminar celebrated in Barcelona on November 19th, patients also had the chance to discuss with administrators and professionals about their expectations and demands, as well as their the need for collaborative actions aiming at designing plans for early diagnosis and easy access to the most suitable therapies.